Padmavati In Trouble, Karni Sena Threatens To Burn Theatres Before The Release For This Reason! Director Sanjay Leela Bhansali’s period drama Padmavati is a talk of the town ever since the film was announced. Well, the makers of the film had already made it clear that no romantic scenes between Rani Padmini to be played by Deepika Padukone and 14th-century emperor Alauddin Khilji to be played by Ranveer Singh, will be added in the film. Now again, the Rajput caste organisation has threatened the makers that if they don’t show the movie to the members before the releasedl, they will burn the cinema halls. “We won’t tolerate any distortion of history and if any romanctic relationship is show between queen Padmavati and Alauddin Khilji, will burn cinema halls screening the film. Our members are trained in handling a large array of weapons ranging from swords to AK 47 guns. We won’t let anyone dishonour Padmavati and insult the people of Rajasthan,” India.com quoted member Jai Rajputana Sangh as saying. “Our demand is that the filmmakers screen it to a panel of representatives from various Rajput organizations. We will only give them a go-ahead to release the film after we are satisfied that no scene insults queen Padmavati,” he added. 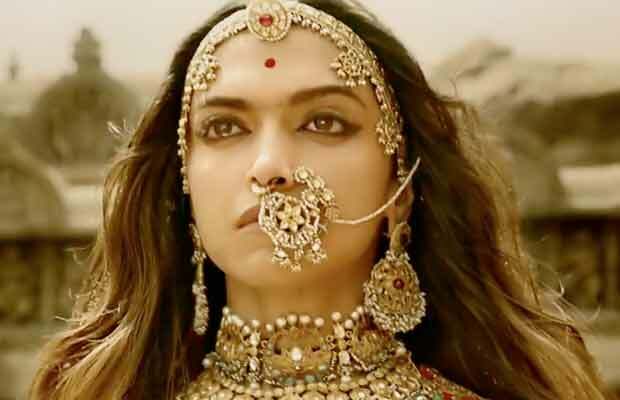 The controversy against the film started after the members of a Rajput group, Karni Sena, protested against Padmavati for alleging distorting historical facts by the filmmaker. The shooting of the film was stopped in Jaigarh fort while director Sabbath Leela Bhansali was physically attacked, which had triggered outrage in the film industry. Previous articleRishi Kapoor Reveals His First Look From The Film Mulq, Looks Promising!